Hey! 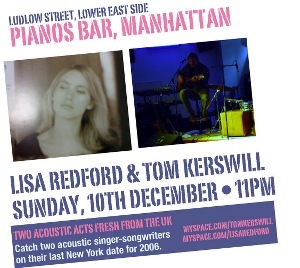 We’ve got another gig to add to the New York tour – playing at Pianos, Lower East Side, on Sunday 10th December…. on-stage 11pm, and it’s a free show!